It all started with a box of letters. When Andrew Schapiro’s family cleared out his grandmother‘s attic after she died in 1990, they came upon the correspondence between his grandparents and relatives left behind in Prague during WWII. The letters tell the story of the Nazi occupation, written by Czech Jews confronted by increasing racism and ever-changing rules as they desperately tried to escape. “The letters must have been too painful for my grandmother,” Andrew Schapiro told his audience when he came to NYU Prague to share stories and photos. 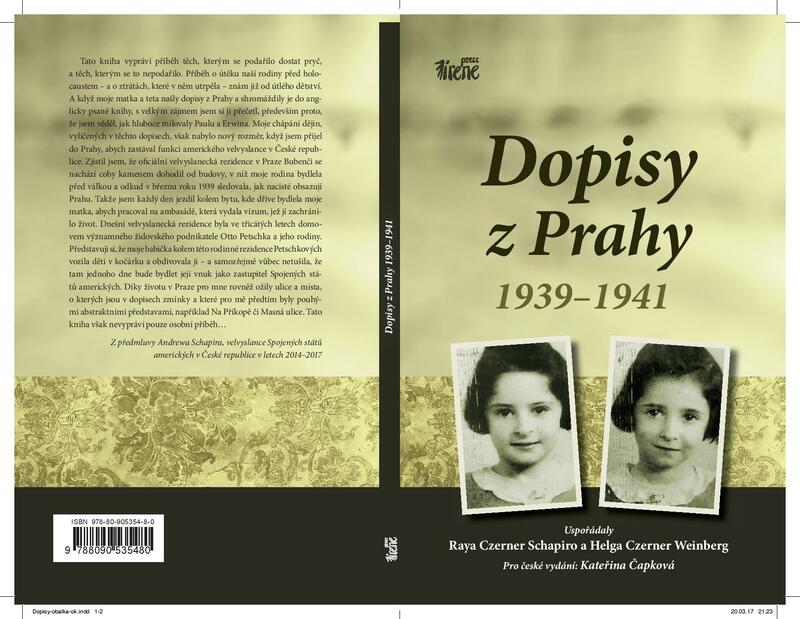 His family published the correspondence in 1992 in a book entitled Letters from Prague 1939-1941. 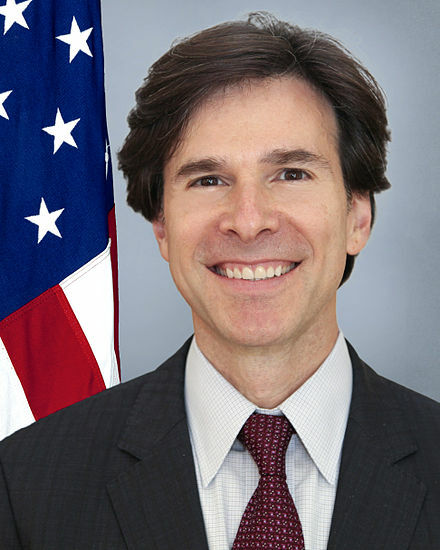 When Mr. Schapiro became the US Ambassador to Prague in 2014, interest in a Czech edition emerged. 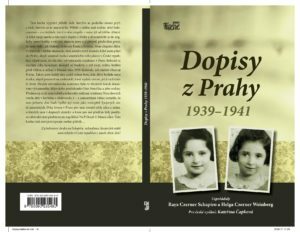 The letters were recently published in Czech and were edited by NYU Prague professor Katerina Capkova. The correspondence begins in 1939, when Mr. Schapiro’s grandparents got three exit visas to the USA – for a family of five. This left them with a heart-wrenching decision: whom to leave behind? Two of their three children (including Andrew’s mother, aged 5) stayed in Prague in the care of their grandmother (Paula) and their Uncle Erwin. The first half of the book is about the complications in getting the girls visas so they could join their family in St. Louis. Finally, shortly after Germany Poland and the war began, the girls left for the USA. I must tell you that on Monday I [depart – crossed out] am boarding [the train] . God bless us all, farewell. Your Paula. Neither Paula nor Uncle Erwin survived. This post comes to us from Leah Gaffen of NYU Prague.